Tourism Minister Stephen Cadiz yesterday announced a master plan is being developed to transform Brechin Castle, Couva into an East Indian heritage site, which would feature a sugar museum and other tourist attractions, as Richardson Dhalai reports in this article for Trinidad’s Newsday. The plan includes the restoration of Lion House, the historic home of the Capildeo family who produced scholars, politicians and was made famous by Nobel Laureate VS Naipaul. Cadiz launched Heritage Sammelan at Lion House on Chaguanas Main Road to commemorate the 168th anniversary of the arrival of East Indian indentured labourers. He said discussions would soon begin with Surendranath Capildeo, the grandson of Pundit Capildeo, an Indian indentured immigrant who built Lion House. 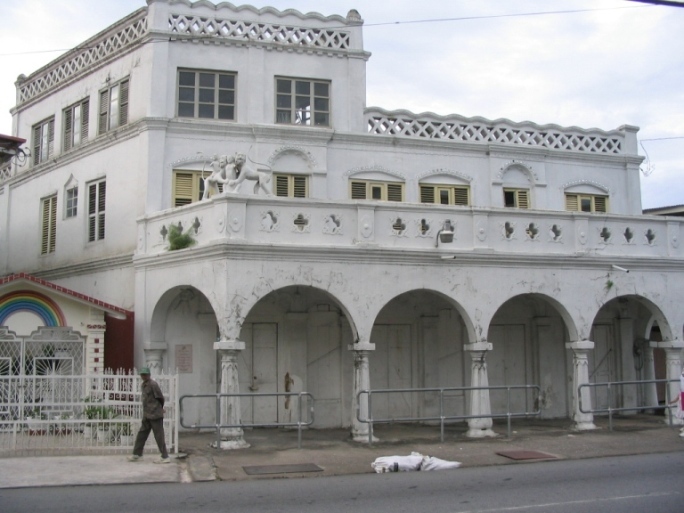 The discussions, the minister said, will be aimed at how to restore Lion House as a heritage site. Lion House was made famous by Naipaul in his book A House for Mr Biswas, in which Naipaul portrayed his father as the character “Mohan”, a son-in-law in the Capildeo family. Naipaul at one time lived in the Lion House, which recently underwent repairs. It is the birthplace of the late mathematician Dr Rudranath Capildeo, who was one time leader of the Opposition and founder and political leader of the Democratic Labour Party. Cadiz said a budget had already been formulated to begin restoration work on the building. “We already have a budget for it — sneaked in a budget — to be able to start doing some proper work where we can do full restoration of the Lion House and the actual property itself. We would also be able to partner with the borough of Chaguanas,” Cadiz said. Meanwhile, Capildeo described the Lion House as a “place of joy” during his childhood years. He said, “This was a home of joy,” adding he had many happy and fabulous memories of growing up there. Also addressing the ceremony was Chaguanas Mayor Orlando Nagessar, who lamented the lack of family life and thrift which were essential factors in the daily lives of the early indentured labourers.